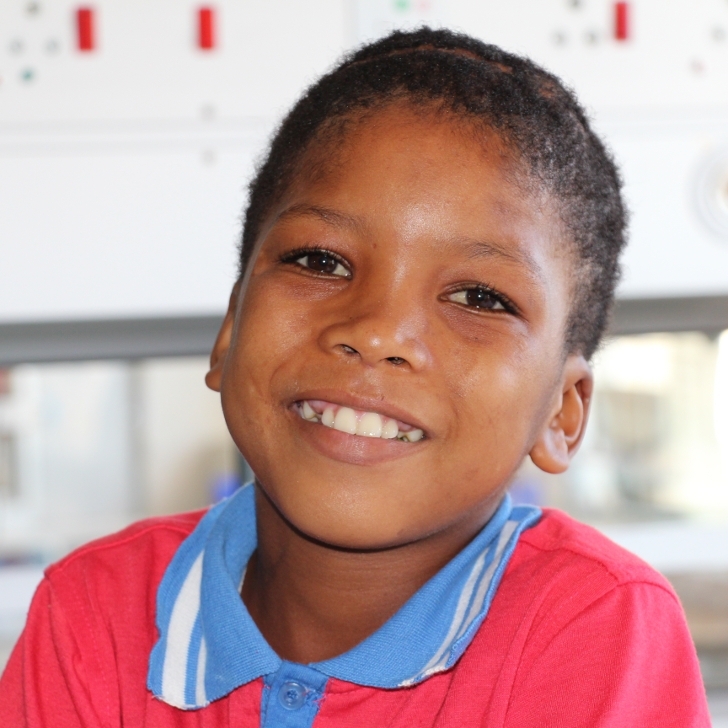 Deacon, a 10-year-old from De Rust in the Western Cape, has suffered from Dystonia from the age of three. Dystonia is a disorder where abnormal muscle tone results in muscular spasm and abnormal posture. 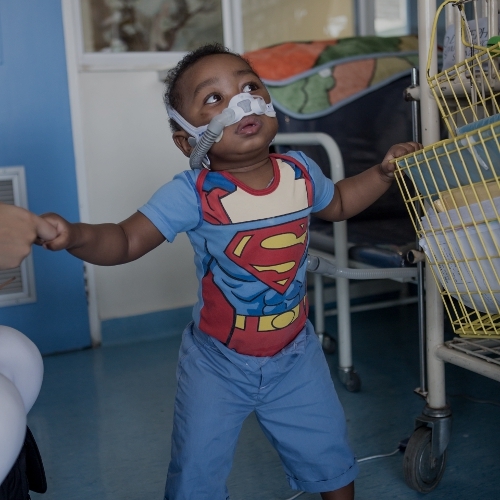 This year he became the youngest child in southern Africa to receive image-guided deep brain stimulation treatment for this disorder at the Red Cross War Memorial Children’s Hospital, which saved his life. At the beginning of 2015 Deacon was admitted to the Red Cross Children’s Hospital, suffering from violent movements that he couldn’t control. After three months in the Paediatric ICU little Deacon needed incubation, ventilation and muscle relaxers. He was eventually put into a coma to stop the violent movements. His granny, Maria Conradie, was ready to say goodbye to him and turn his breathing machines off. It was a hopeless situation. 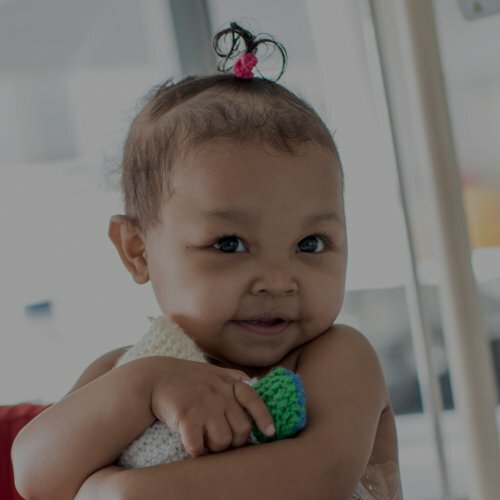 Dr Nico Enslin from the Red Cross Children’s Hospital trained as a neurosurgeon at the University of Cape Town and spent time in various centres in Europe being trained in the technique of deep brain stimulation. He motivated for the treatment to be used on Deacon, believing that it would help the little boy move normally. The treatment involves two tiny little electrodes being surgically implanted deep into the part of the brain that controls movements. Electrodes are tunnelled under the skin and connected to a battery pack, which is implanted on the abdomen or under the skin. The device then delivers a constant current to those deep centres of the brain. Doctors control the strength and the rate at which the electrical impulses occur. Without this type of treatment, Deacon would have died from renal failure, however Dr Enslin was not sure if he would wake up after the operation or how his brain would be impacted after being in a coma for so long. Two days after the operation Deacon woke up and three days after the surgery he was taken off the ventilator. Five days after the operation he was moved to the regular surgical ward. He still had some abnormal movements in his legs and couldn’t speak. He went home three weeks after the operation and now a month after leaving the Hospital, he has returned for a check-up and he is a normal boy walking, talking, jumping, eating on his own, running, playing soccer and going back to school in the new year. He is living a normal life. This is a treatment option done worldwide for generalised Dystonia, like Deacon has, as a first line of treatment. Patients with Dystonia are usually treated with medication initially but as soon as the medication has other side effects or no longer controls the Dystonia they are given deep brain stimulation. It is fantastic that the Red Cross Children’s Hospital now has the option of offering this to children in Africa. Before Deacon’s operation, he could never even play with a ball. Now he wants to grow up to be a soccer player. In December 2015, two more patients received DBS treatment at the Red Cross Children’s Hospital, dramatically improving their symptoms of Dystonia. 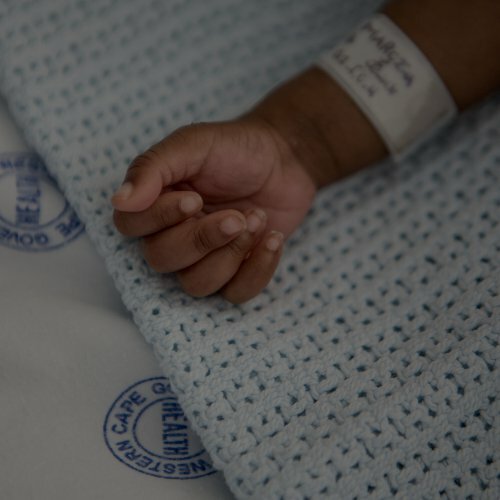 This is currently the only hospital in sub-Saharan Africa with a Paediatric Neurosurgery Unit and the ability to perform DBS on paediatric patients, both in the private and public health sectors.